The statement was made available in Abuja on Friday. The emir expressed appreciation to the acting president for being supportive of President Muhammadu Buhari, a son of the emirate. “I can assure you that all us here, myself and my subjects; we are fully and solidly behind you and in support of you. We are happy with you and we are particularly proud of the way you have supported our son, Buhari, in leading our country Nigeria to prosperity. That explains why when you talk about loyalty and trustworthiness among the political class; you stand as an example worthy of note. I wish that you carry on with this level of trustworthiness and continue to uphold the confidence that our son has in you. I can assure you that our son has enormous trust in you, I want you to continue to justify that confidence he reposed in you,“ he said. 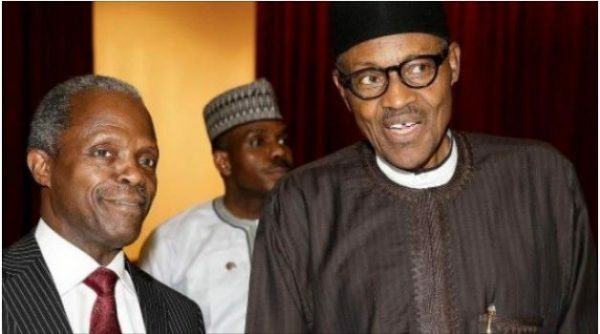 The post “Osinbajo Exemplifies Loyalty, Trustworthiness” – Emir Of Daura appeared first on LATEST NIGERIAN NEWS BREAKING HEADLINES NEWSPAPERS.